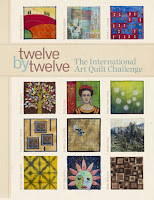 I am a member of TWELVE BY TWELVE, the international art quilt group. Please visit our website. My Twelve by Twelve quilts can be seen on my artist gallery pages.